We’re pleased to announce the winner of our #openupballarat Instagram comp. To celebrate our first regional program, we asked you to explore Ballarat over the weekend, and show us how the city opened up for you—whether it be the hidden backs of buildings, unusual nooks or unseen crannies of buildings from our program. We received some fantastic entries, but one stood out for its beautiful composition and its very Ballarat feeling. 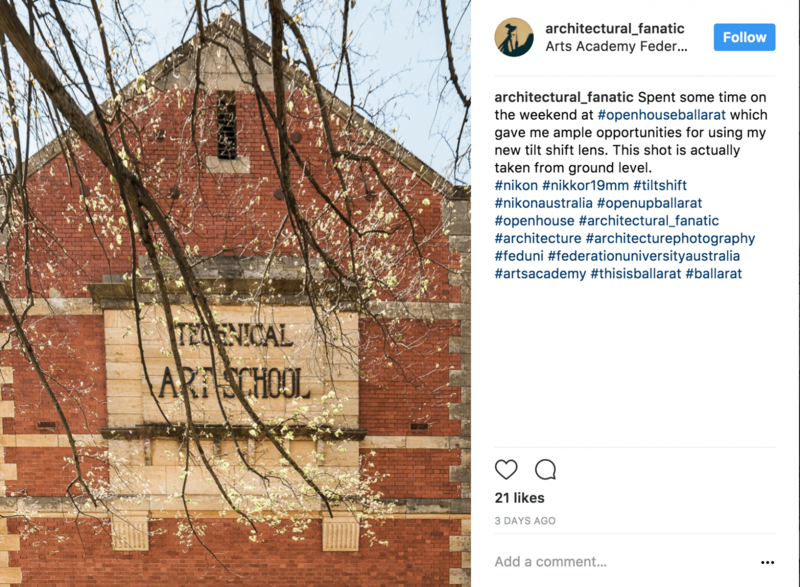 Congratulations to @architectural_fanatic for your photo of the Arts Academy at Federation University Australia. You’ve won a double VIP pass and program to the 2018 Open House Melbourne, letting you jump to the front of the line for building tours on the July weekend. We also had some awesome runners up who showed us some great moments from their weekend, check them out here. Thanks to everyone who shared their #openupballarat moments. We’re so glad you had such a great weekend in Ballarat.